A realistic, steampunk / neofuturistic tattoo that’s only on the back of the avatar; however extends from upper to lower body and also down the arms. Click the images to enlarge them! The „Wings of Steel“ Tattoo can be worn by male and female avatars, and is available in several colors. Each color pack – containing the tattoo on the tattoo layer as well as on undershirt / underpants layers – is L$ 99. A fat pack with all 10 colors is available at L$499, free demos are, of course, also available so you can try before you buy. 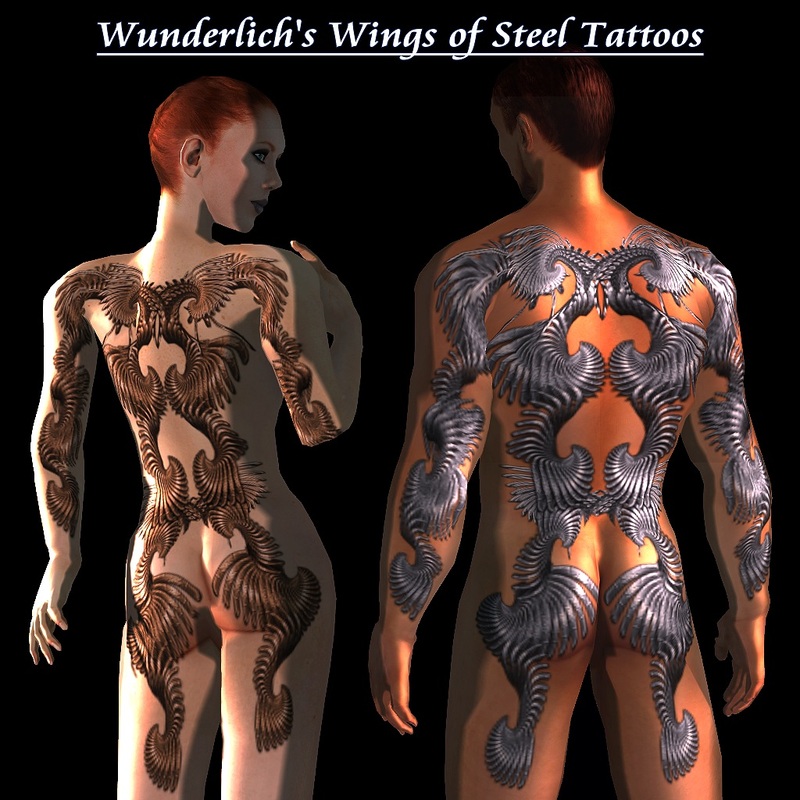 The tattoos are available at my inworld store – they’re currently at the latest releases wall near the TP point of my main store and, of course, also at the ‘Tattoos’ wall at the back of the skin store. 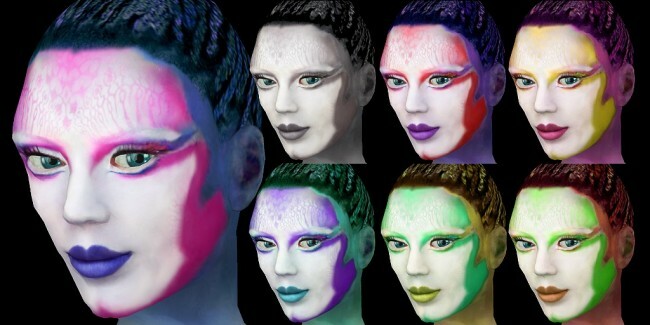 Skins worn in the pictures are my ‚Bryna – Tone3‘ and ‚Rudy – Tone4‘ skins, also available at my skin store. The shape is now included with the Bryna fat packs and bases skins. It’s also available separately; it’s L$ 75 and available at my skin store as well as on the SL marketplace. A no-mod demo with oversized hands and feet for L$0 is, of course also available at both locations. 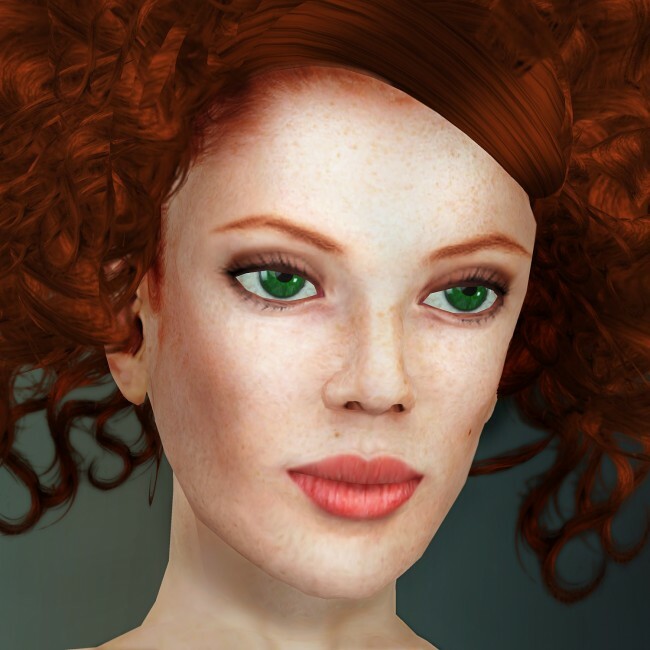 Bryna is available as fat pack per skin tone, as single ‚base skins‘ (with the possibility to buy single tattoo layer makeups from the fat packs) and, of course, the demos are free. 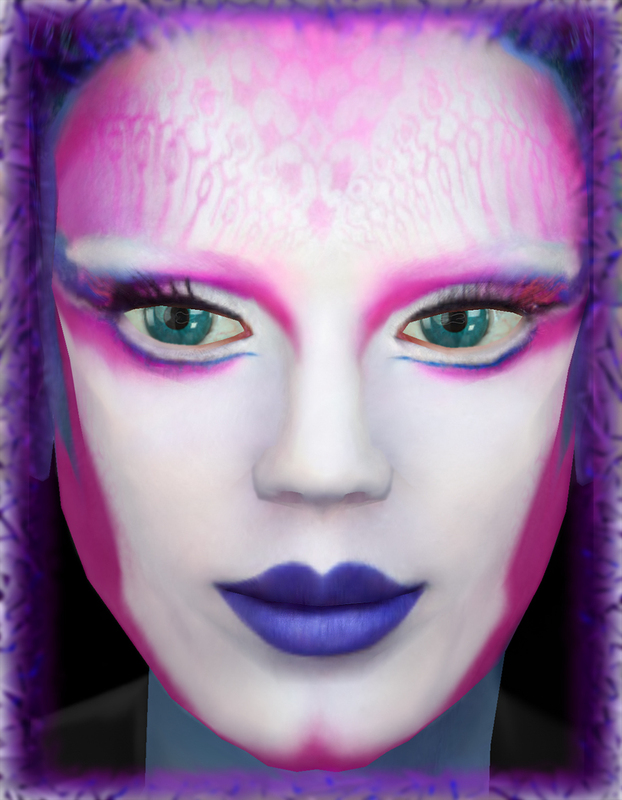 A colorful extraterrestrial full head makeup, coming on the tattoo layer so you can wear it with your favourite skin. There are two versions in the box, one with and one without the braided hairbase. The makeup extends to just below the neckline, then fades out. Each color package is L$199. They are available at my store on the SL marketplace as well as at my inworld store – they’re currently at the latest releases wall near the TP point of my main store and, of course, also at the skin store. A new release at Wunderlich’s! ‚Irezumi‘ is the Japanese term for a full body tattoo suit. 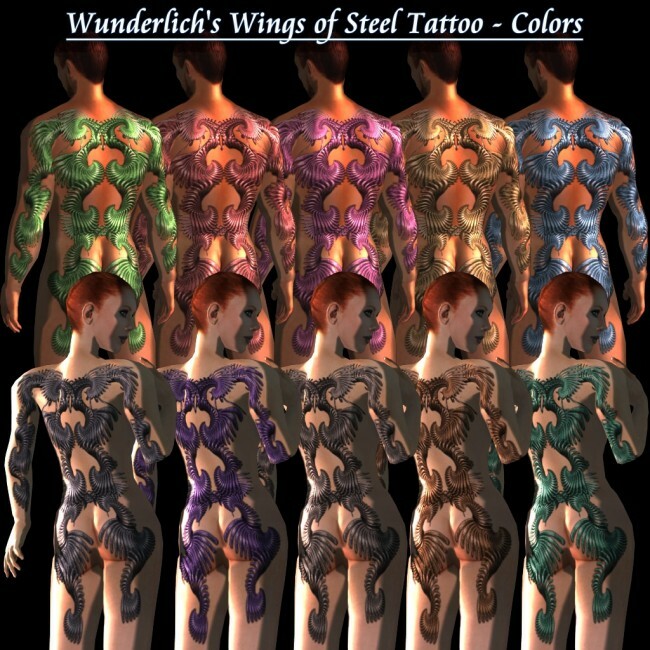 This tattoo suit for SL avatars, carefully and seamlessly handpainted with koi fish, dragons, waves, celtic motifs and other things, is available in greyscale and colored. Free demos are available so you can have a look at the tattoos before buying! system clothing layers (undershirt / underpants) in all opacities. 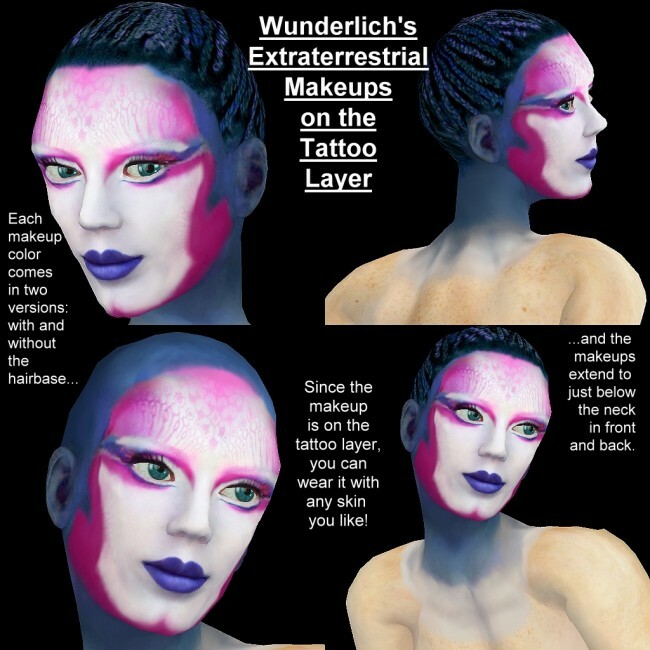 When wearing the tattoos as the system clothing items, be careful that you only mix the correct opacities. For example, the ’25 opacity undershirt (look at their names!) should only be worn with the 25 opacity underpants, and so on; otherwise, there WILL be a noticeable seam at the waist. Each the color and greyscale package is L$250, the demos are, as they should be, free. The tattoos are available at my store on the SL marketplace as well as at my inworld store – they’re currently at the latest releases wall near the TP point of my main store and, of course, also at the ‚Tattoos‘ wall at the back of the skin store.